This item has been discontinued by the manufacturer. 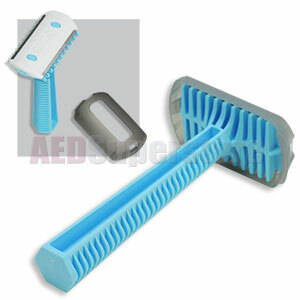 Please see the Personna Single-Edge Prep Razor for a suitable replacement. Personna Double Edge Prep Razor includes a comb on both blades that lift and separate hair for more effective hair removal. Made with Personna's quality Comfort-Coated stainless steel blades for a smooth, clean shave. Also includes an easy-to-remove protection cap to guard against accidental injury.